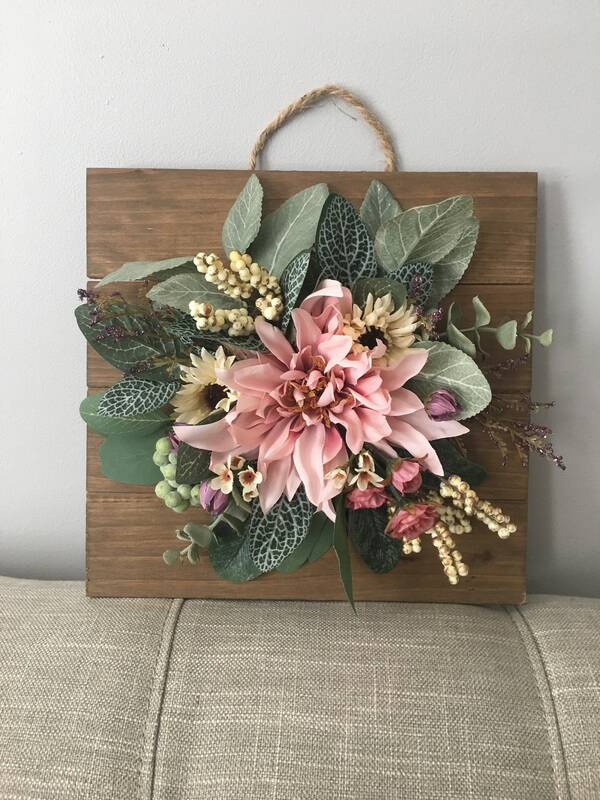 10" X 10" Floral Wooden Wall Art. 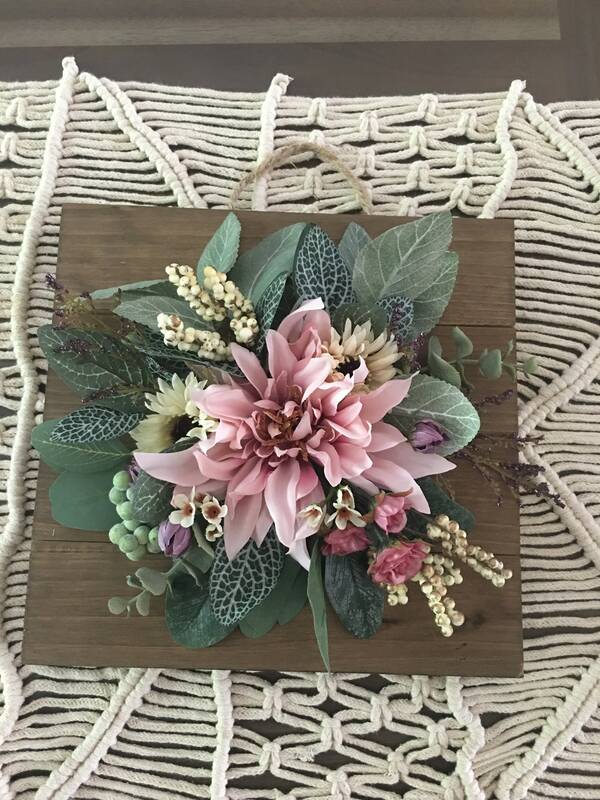 Perfect for Nursery Decor, Front Door Love, or in any room in your living space. The flowers used are of the best quality and will bring cheer to any room. Hang directly on the wall or lean against the wall on a shelf. Perfect little feminine detail for any space. Message me if you want a specific color combo.